On 18 May, Westmead Hospital celebrated International Clinical Trials day by acknowledging the work done (often behind the scenes) by its hard-working clinical trials and medical staff. WSLHD Clinical Governance executive director Joanne Edwards commended the staff who work in clinical trials, acknowledging the magnitude of work they do and the sheer number of studies they work on. “WSLHD is currently conducting 178 drug studies, 15 device studies and more than 2000 active research projects,” she said. WSLHD Research and Education Network director Professor Stephen Leeder praised staff for their dedication and contribution to medical and public health knowledge. 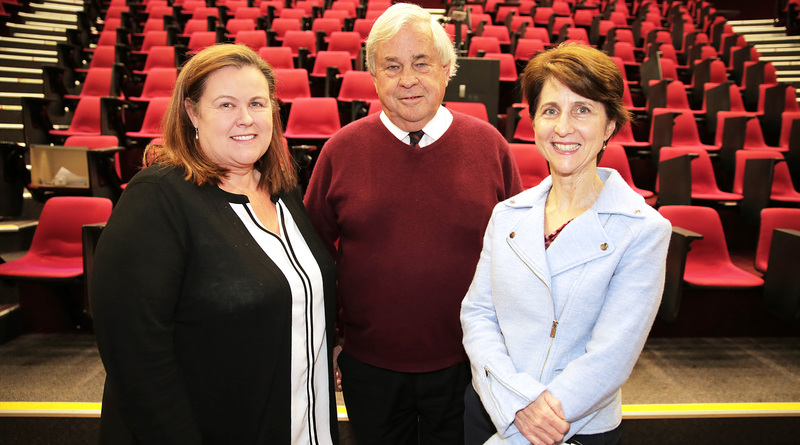 “Whether clinical trials are conducted at Westmead or Blacktown hospital, they are the way we advance our knowledge,” he said. “Clinical trials fit very well with the way medical science is progressing these days. “WSLHD has a great number of people involved in research and our culture of research, testing and seeing what happens applies that approach.